Paul Carl Stahr, Jr. was born August 8, 1883 in New York City. 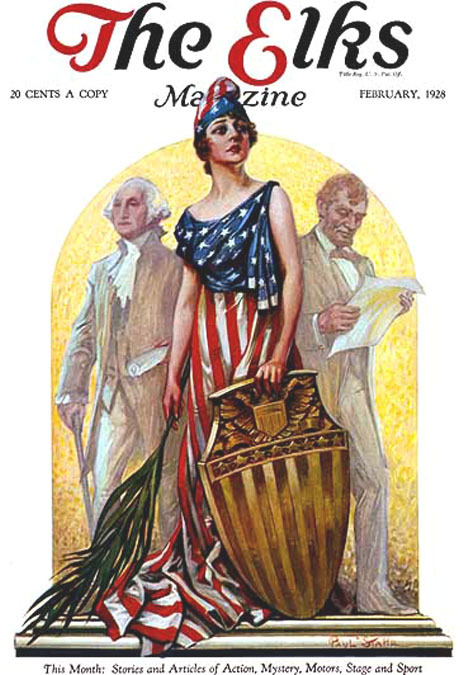 His father was also named Paul Stahr, born 1859 in Germany. He was a skilled brewer of beer. His mother was Tilde Stahr, born 1865 in Germany. They married in Germany and immigrated to the U.S. in 1883, the same year he was born. Paul was the firstborn of their five children. The family lived in a crowded tenement building at 221 East 95th Street in the Yorkville district of NYC. The neighborhood was traditionally known for its large German community. He attended P.S.86 and later graduated from Morris High School. In 1902 he began his art studies at the nearby National Academy of Design, where he won a bronze medal and graduated with honors. On June 15th, 1904, at the age of nineteen, Paul Stahr witnessed the infamous burning of the SS General Slocum in the nearby East River. The excursion boat was chartered by the German American Community for the 17th Annual Lutheran Church Picnic Boat Ride, when the ship accidentally caught on fire and burned. The Yorkville community was devastated by the deaths of 1,021 citizens, including many of its most prominent social figures. The SS General Slocum fire was the single most deadly event in New York City's history until the 9/11 attack. In 1905 he studied figure drawing with George Bridgman at the Art Students League. 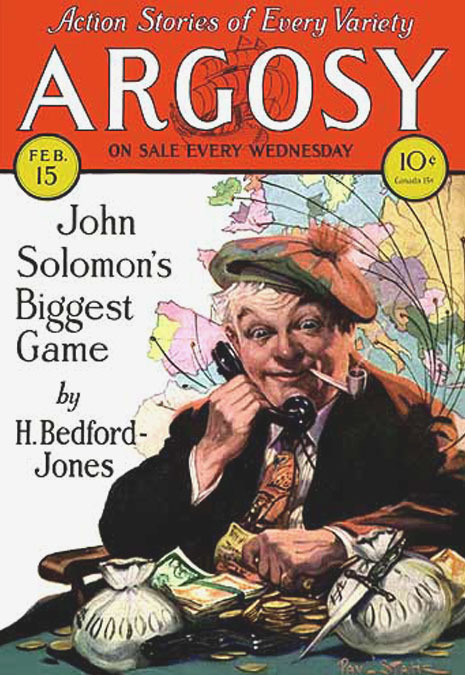 He first worked for a lithographic company that produced show posters for Broadway theaters. On his twenty-third birthday, August 8, 1906, he married Edith M. Delaney. He moved in with her family at 60 Third Avenue, near East 11th Street, where their daughter Edith was born in May of 1909, and their son Jerry was born in February 1915. 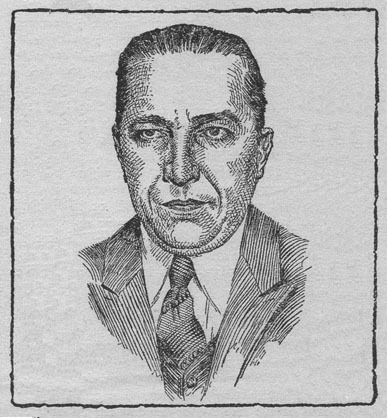 Paul Stahr's art studio was located in the Washington Heights district at 510 West 183rd Street, and later at 362 Audubon Avenue, near West 183rd Street. This area had begun to replace Greenwich Village as New York's most popular "artist colony" in those years. 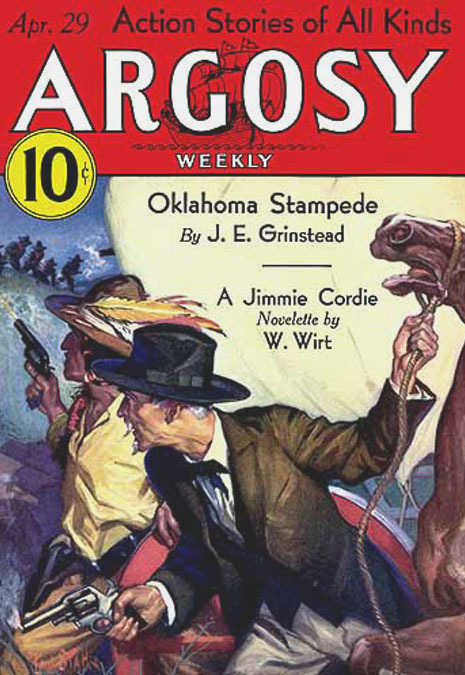 His career as a magazine illustrator began in 1913 when his drawings for interior stories were published in People's Home Journal. 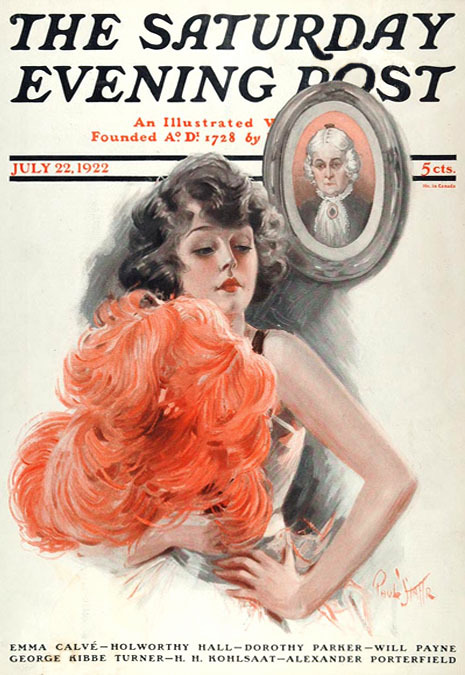 His works soon appeared regularly in Life, Collier's, Judge, Woman's Home Companion, and The Saturday Evening Post. In 1919 During the Great War he was a married thirty-six year old father, so he did not serve in the military. 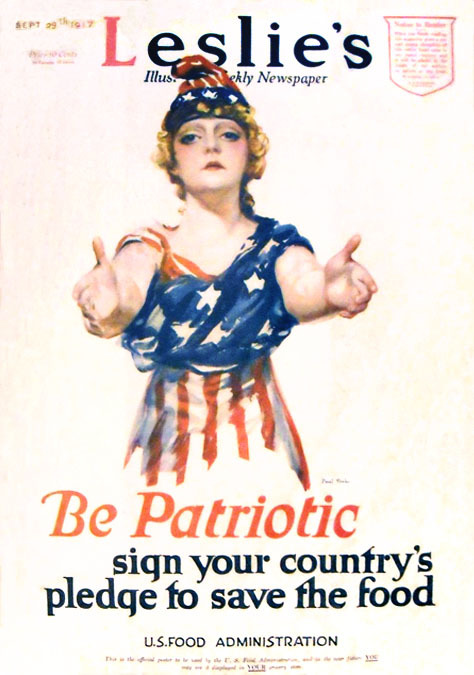 He painted posters for Liberty Loans, Red Cross, National Defense, and the Hoover Food Administration. 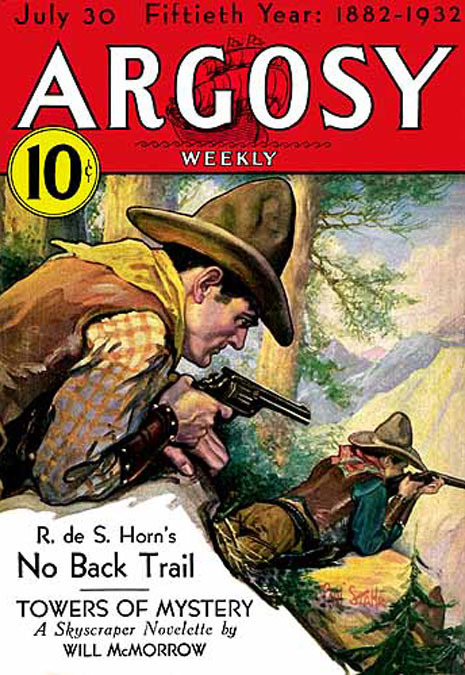 From 1924 until 1934 he worked extensively as a pulp cover artist for Argosy Magazine. 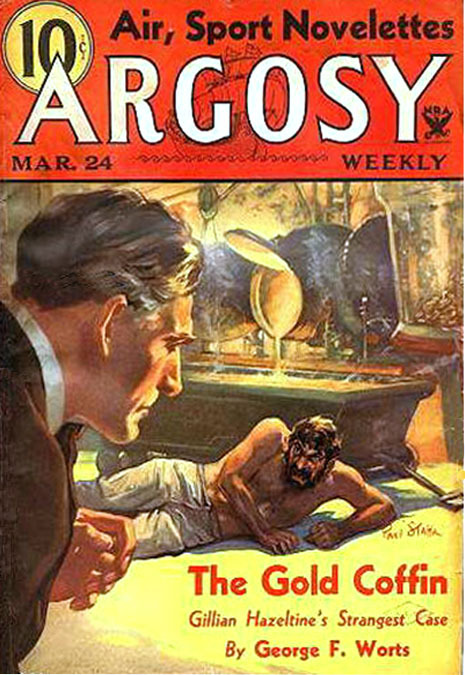 He also painted covers for many books, including The Big Sleep by Raymond Chandler and The Saint by Leslie Charteris. 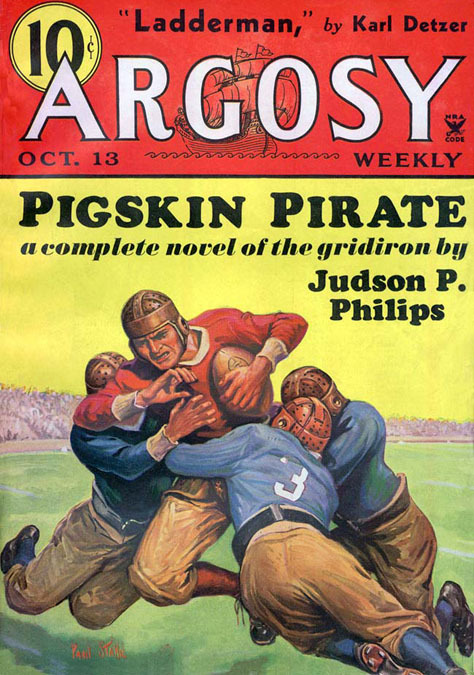 During the Great Depression there were several instances when Paul Stahr signed his pulp covers for All-Story Love, Detective Fiction Weekly, and Argosy Weekly, all from Munsey Publications, with the pen-name "J. J. Sterling" and "J. O. Sterling." 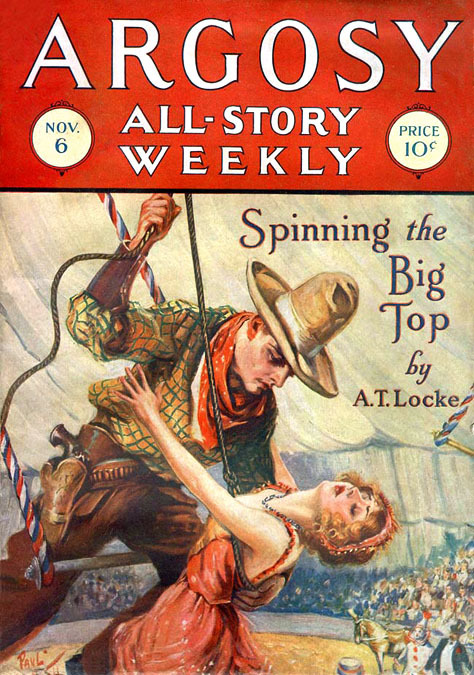 There were several typical motives for pulp artists to use pen-names, such as a desire to preserve one's reputation for higher-paying assignments, conflicts of interest between rival publishers, avoidance of income tax or alimony payments, but sometimes a pen-name was used because the editor wanted to give readers the impression of employing a greater variety of talented artists. 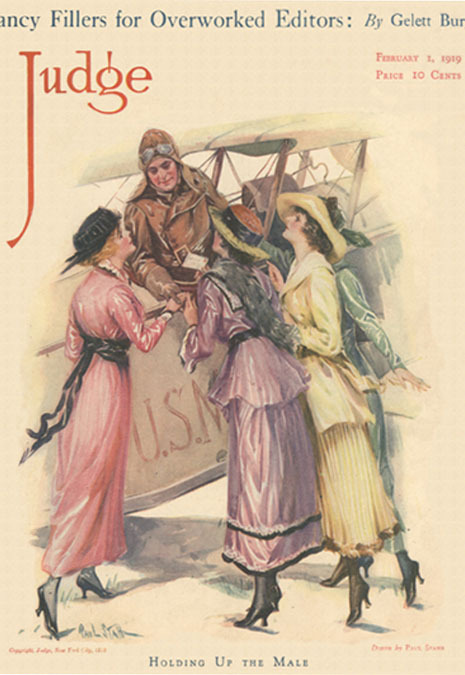 Since Paul Stahr had long been a standard cover artist at Munsey Publications, this last reason seems the most likely motive for signing some work with a pen-name. Throughout his life he and his family spent summers at Long Beach, Long Island, NY. In his later years he stayed there year round. 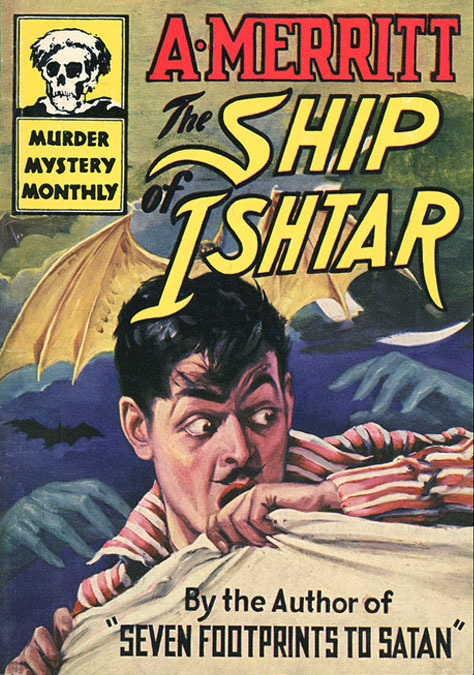 Paul Stahr suffered a cerebral hemorrhage and died in Long Beach Hospital at the age of sixty-nine on January 5, 1953.